A recent study from the Federal Reserve Bank of St. Louis revealed that workers employed at high-risk jobs have a tendency to save less money despite the likelihood of sustaining a work-related injury. A possible reason for this, according to the authors of the study, is that employees of high-risk jobs are more likely to focus on short term priorities rather than long term planning. The authors said 21% of workers with high-risk occupations, such as machine operators, construction workers, truck drivers, and farmers acquire benefits from Social Security Disability Insurance while only 12% of the other labor groups are likely to seek out Social Security benefits. 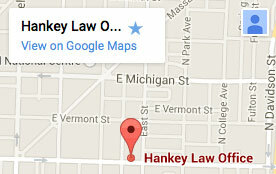 The attorneys of the Hankey Law Office represent Indianapolis people who need assistance collecting Social Security benefits. Call our offices today at (800) 520-3633 to discuss your options with a member of our skilled legal team.